Click a thumbnail to change the photo. 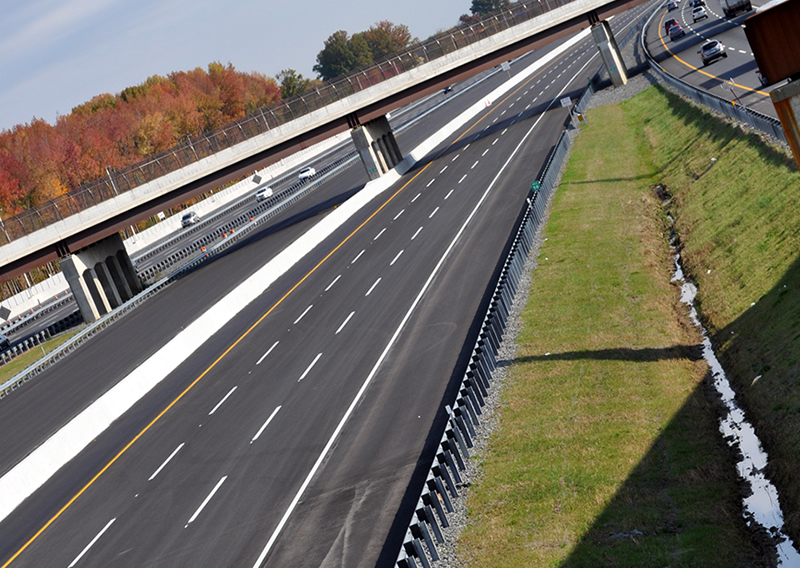 The New Jersey Turnpike’s 6 to 9 Widening Program, was a 5 year, $2.7 billion project which increased 35 miles of roadway to 12 lanes. Ground was broken in 2009 and on November 2, 2104 the entire 12 lane, 35 mile stretch was open to the motoring public.